Best Investments For 2019 – Where To Invest Money Now? With uncertain times ahead for the financial markets space, knowing where to invest your money can be a huge headache. In fact, there are literally thousands of investment products and services to choose from, each with their own underlying risk levels. To help you along your way, we are going to discuss some of the best investments for 2019 and beyond. Before we get started, let’s take a look at what makes a good investment. In its most basic form, the overarching aim of making an investment is to increase the value of your wealth. At an absolute minimum, this would need to grow at a faster rate than that of inflation. With the interest rates offered by banks now at record lows, keeping your funds in a basic savings account is no longer viable. In fact, the real-world value of your money will decline. For example, if you held $10,000 in a basic savings account that paid an annual interest rate of 1%, then your original $10,000 would be worth $10,100 at the end of the year. However, what if inflation grew by 3% in the same period? Essentially, although your $10,000 would be worth 1% more, when you factor in the 3% inflation rate, you’re effectively 2% worse off! As such, when asking yourself what is the best investment, it needs to be a financial instrument that not only protects your wealth, but helps it to grow. On top of this, the best investments also ensure that risk levels are kept to an absolute minimum, with respect to the amount of growth that is expected. 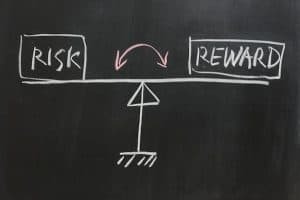 In the financial world this is known the ‘Risk vs Reward’ model, and essentially means that the more risk an investor takes, the more profits they should be rewarded with. Otherwise, there would be no point in increasing the underlying risk. As such, the best investments are those that cater directly to your appetite for risk. While some individuals view the best investments as those that offer super low-risk levels that yield low returns, others opt for high risk levels that will potentially yield really high returns. 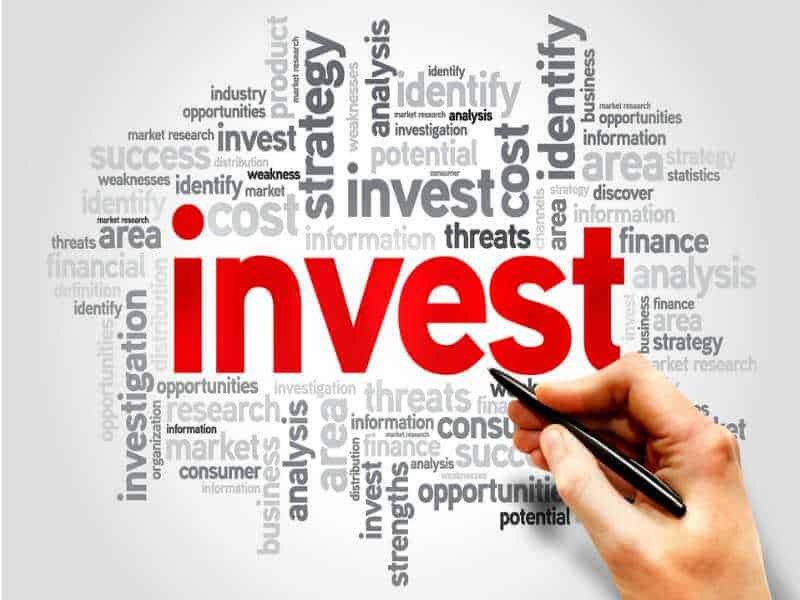 So now that you know what makes a good investment, in the next part of our guide we are going to discuss 15 of the best investments for 2019 and beyond. In order to point you in the right direction, we are going to explore 15 of the best investments in terms of the underlying asset class. This will give you the opportunity to explore the financial product in more detail, and subsequently allow you to make an informed decision at to the best investments for your individual needs. Take note, these are in no particular order. Cryptocurrencies are digital currencies allow people to send and receive funds without using a third party. Although there are more than 2,000 different cryptocurrencies in existence, Bitcoin is the most well-known, and carries the largest value. As cryptocurrencies are available to trade on multiple exchanges, their value goes up and down just like in the real-world stock market. As such, you want to make an investment with the hope that your chosen cryptocurrency increases in value. Cryptocurrencies are highly volatile, meaning that prices can go up or down by more than 10% in a single day. Bitcoin rose from $1,000 to $20,000 in 2017, which amounting to an increase of 2,000% in for the year. However, its since gone down to $4,000. Which cryptocurrencies should I invest in? In order to mitigate your risk, it might be best to mix established digital currencies such as Bitcoin and Ethereum, which some small alt-coins. If you want to buy cryptocurrencies, just remember they are a high-risk asset class, so you’re best keeping your investment amounts low. You might also consider investing smaller amounts on a regular basis. 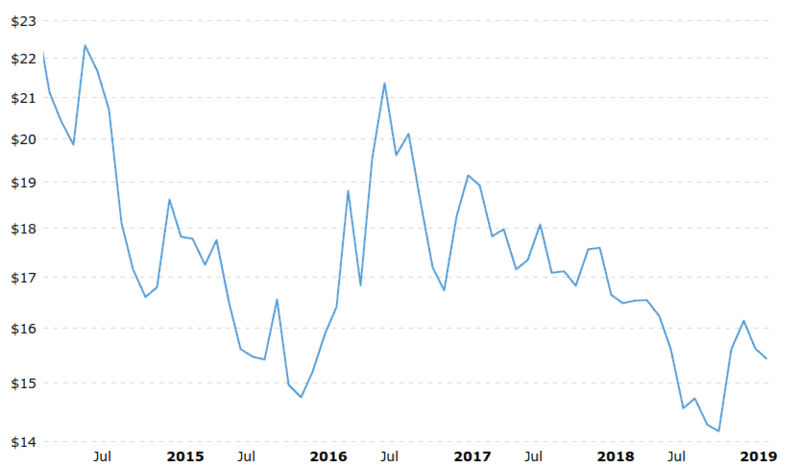 The rise and fall of Bitcoin between April 2016 and March 2019. 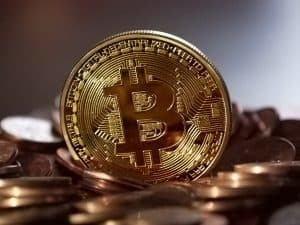 How do I invest in cryptocurrencies? Here’s how you can invest in cryptocurrencies via eToro. Blue-chip stocks is a term used to reference large corporations that are publicly listed on major stock exchanges such as the New York Stock Exchange (NYSE), NASDAQ or London Stock Exchange (LSE). How do blue-chip stocks work? if the value of the stocks that you hold go up in value in the open marketplace and you decide to sell them, you would have made profit in the form of capital gains. 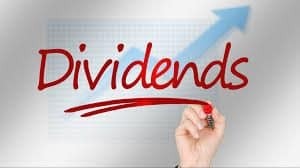 The second revenue stream that some blue-chip stocks offer is in the form of periodic dividends. Blue chips stocks that pay dividends can pay anywhere between 1-5% per year. The value of the shares on the open marketplace can go or down, although you’d hope to get at least 5% in gains per year. What are the best blue-chip stocks to invest in? Technology stocks such as Apple and Microsoft are good investments because they good growth levels and they pay regular dividends. You can read more about how to buy Apple stocks or how to buy Microsoft stocks in our comprehensive guides. 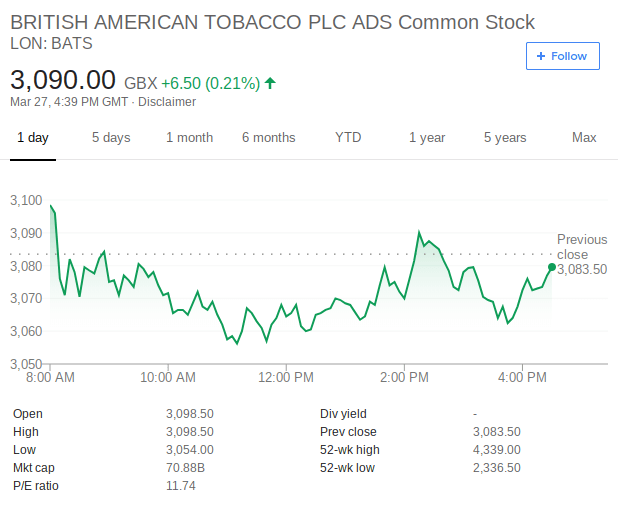 It might be worth considering tobacco stocks too such as British American Tobacco, as they can currently be purchased on the cheap, and they pay dividends. There’s no limit to the amount you can invest in blue-chip stocks, especially if you’re backing low-risk companies. Just make sure you diversify by holding multiple stocks from different industries. BAT has taken a hit in the stock markets over the past couple of years. Is it now time to re-invest? 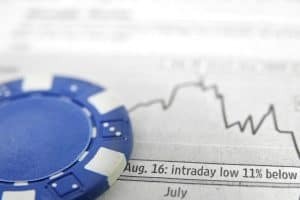 How do I invest in blue-chip stocks? Here’s how you can invest in blue-chip stocks via eToro. 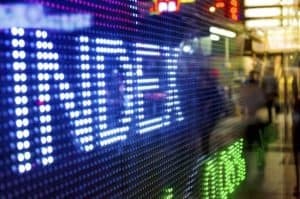 What are stock market index funds? 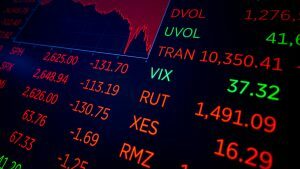 If you like the sounds of investing in blue-chip stocks, but either can’t decide which companies to back, or you want to diversify your risk, you should consider investing in stock market index funds. This allows you to invest in lots of companies, rather than just one or two. 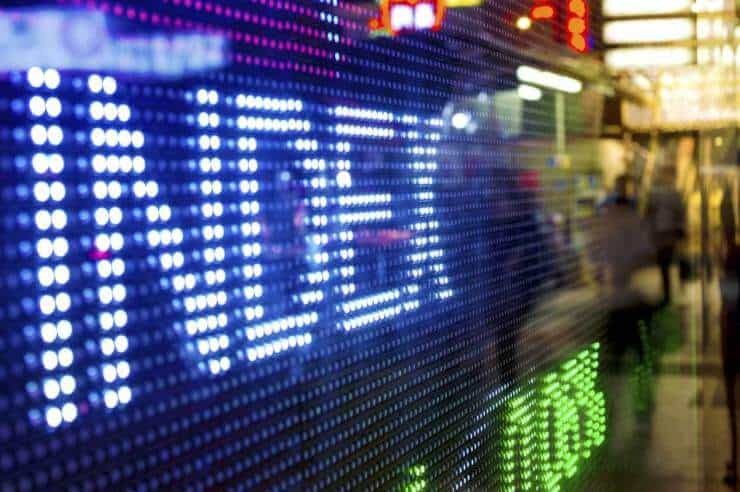 How do stock market index funds work? 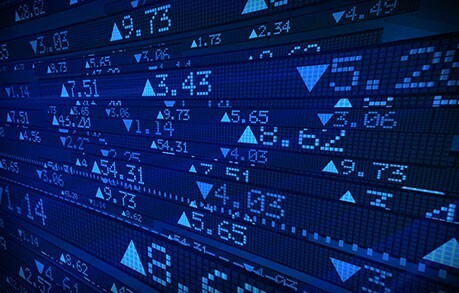 Lots of financial institutions are able to track the movement of major stock exchanges such as the NASDAQ. For example, the NASDAQ 100 index fund tracks the 100 largest companies trading on the NASDAQ exchange. Your investment is based on the average share price movements of all the companies that make up the index. Although you won’t receive any company dividends by investing in a stock market index, growth is usually very good. 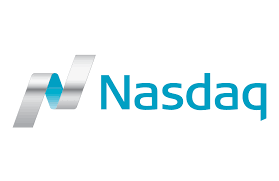 For example, the NASDAQ index increased in value by 31% in 2017, 6.4% in 2016 and 9% in 2015. Also, in the 10 year period from 2007-2017, the FTSE 100 (LSE) made total gains of 74%. 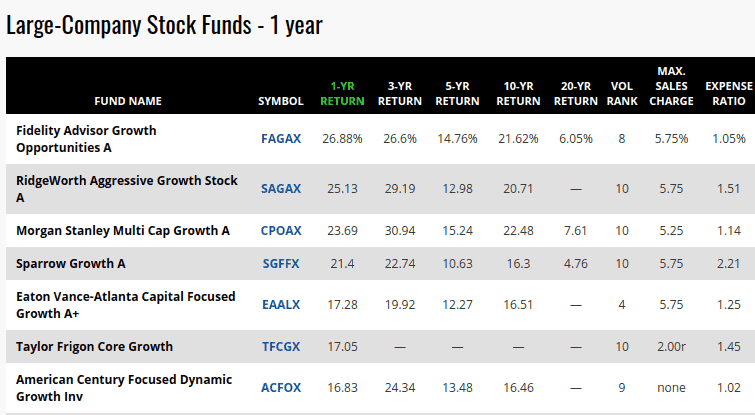 What are the best stock market index funds to invest in? You can invest in multiple stock market indexes if you want to diversify your risk. Consider putting some funds into the Dow Jones (NYSE), NASDAQ 100 (NASDAQ) and the FTSE 100 (LSE). As stock market indexes usually perform very well, there is generally no limit to the amounts that you should invest. As noted above, just make sure you spread your risk by investing your money into lots of different stock markets. Performance of the NASDAQ since 2009. How do I invest in stock market index funds? When you invest in Gold, you are speculating on its price going up or down in the open marketplace. Prices are linked to real-world demand and supply. How does an oil investment work? If you want to invest in Gold, you don’t need to physically hold the asset. Instead, you can purchase a CFD that tracks its price. If you think that its value will go up, and it does, then you simply the sell the Gold CFD with a profit. As is often the case with most commodities, Gold is quite volatile. For example, at the start if 2009, Gold was valued at $881/oz. Less than three years later in September 2011, its value soared to around $1,826/oz. 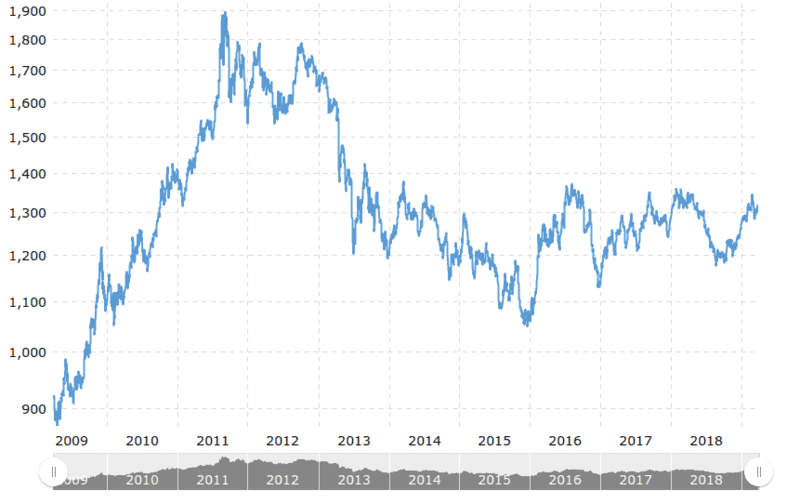 However, at the time of writing in March 2019, its value has retreated to $1,284/oz. 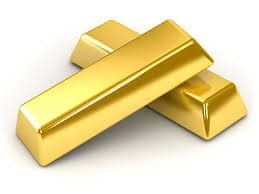 What are the best Gold investments to make? In the financial markets, there are a number of Gold ETFs that track global prices. However, the movement of each ETF is usually similar. Nevertheless, if you want to invest in Gold yourself, the easiest way to do this is via CFD on eToro. As Gold is a volatile asset, you should only invest a small percentage of your portfolio. Limit your stakes and make sure you keep an eye out for any major developments in the market. Gold is a very volatile asset class, as you’ll see from the graph. Here’s how you can invest in Gold via eToro. What is an oil investment? The value of oil is ultimately determined by global demand and supply levels. In other words, as demand for oil increases, in theory the price should follow suit. When you invest in oil, you don’t physically own the oil. Instead, you invest in an asset that tracks the movement of global oil prices. This is usually done via an ETF (Exchange Traded Fund) or a CFD broker like eToro. 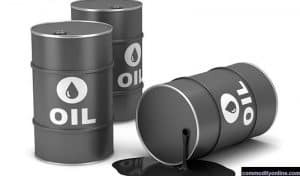 At the time of writing in March 2019, prices stand at around the $67/barrel mark, potentially indicating that it might be slightly under-valued. However, oil prices can be quite volatile and usually go up or down in value by at least 10% every year. As you’ll see from the chart below, oil has increased in value by more than 32% already in 2019. However, in 2018 it lost 24%. What are the best oil assets invest in? As you won’t be buying oil in the physical sense, you’re probably best off using a CFD that tracks global oil prices. 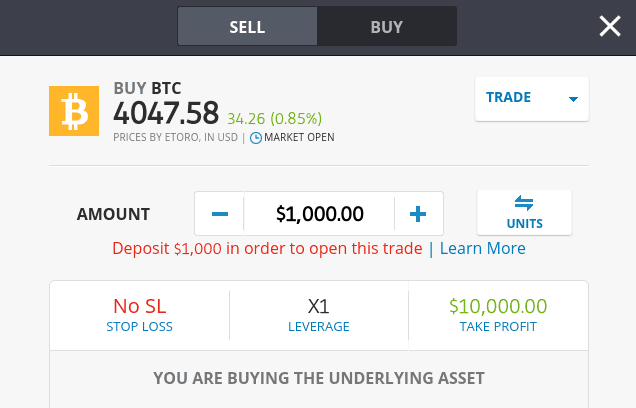 eToro allows you to do this via a CFD. You should limit your stakes when investing in oil, as prices are very volatile. It might be best to treat oil as a short-term investment so that you can make gains when the market is up. Don’t forget, you can also make money when the prices go down if you decide to ‘Go Short’. Oil often goes up or down in value by double-digit levels every year. How do I invest in oil? Here’s how you can invest in oil via eToro. When you invest in real estate, you are investing in the growth of the housing market. This is broken down in to specific locations, such as the U.S. housing market. How does a real estate investment work? If you have a large amount of cash, then the best way to invest in real estate is to purchase properties yourself. 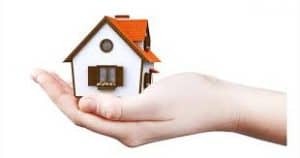 You can then rent the property out, and sell the house at a later date when the value of the property is worth more. Alternatively, you can invest in real estate via an ETF. Real estate offers one of the safest long-term investments. Depending on the housing market you are invested in, you can between 5-10% in annual rental payments. In terms of the property growing in value on the open marketplace, this will vary depending on the location. In the U.S., house prices rise by an average of 5% per year. 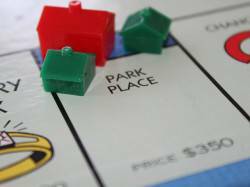 What are the best real estate investments? If you can’t afford to buy a property yourself, you’re best off investing in an ETF. One of the best real estate investments is the Vanguard Real Estate ETF, which tracks the U.S. housing market. As real estate investing is such a secure long-term investment choice, there is no limit to the amount you can invest. It’s also a good idea to re-invest your profits back in to further real estate investments. The value of median house prices in the U.S. since the mid-1960s. Penny stocks are shares in small companies. The share price must be $5 or less for it to be classed as a penny stock. 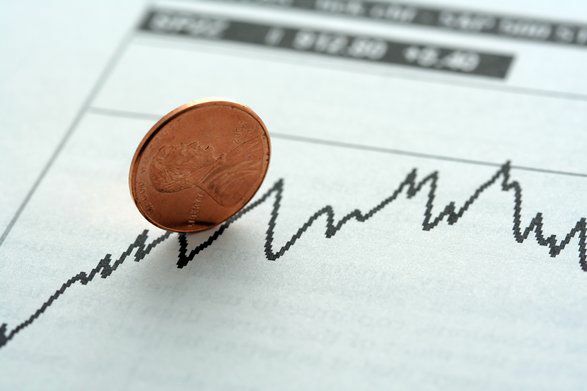 How does a penny stocks investment work? When you invest in penny stocks, you are speculating that the value of the shares will increase on the open marketplace. 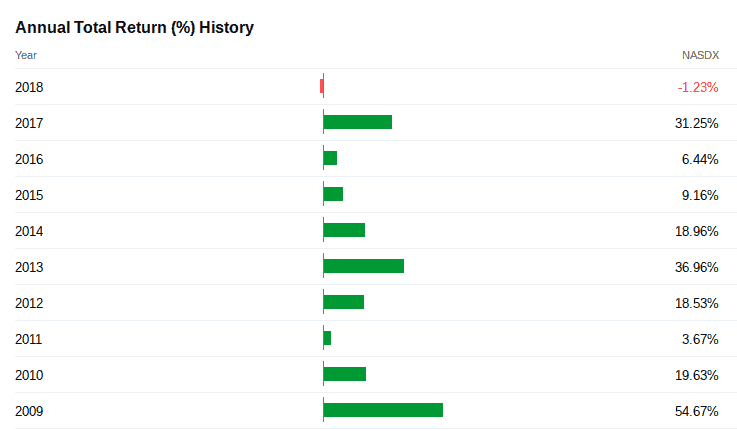 Most penny stocks are traded OTC (Over-the-Counter), although some are listed on eToro as a CFD. How much can I expect to make by investing in penny stocks? As penny stocks are so volatile, prices can go up or down by more than 10% in just 24 hours. If you pick a penny stock that makes it big, its value can grow by more than 1000%. However, you could equally the majority of your investment too. What are the best penny stocks investments? Technology services company Arcimoto, Inc. are currently experiencing good revenue growth, so they might be worth a small punt. 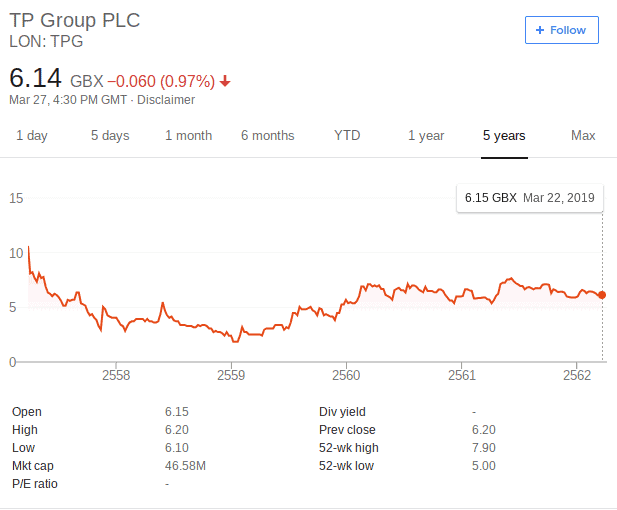 TP Group raised an impressive £20.8 million in their 2017 IPO and still have much of this sitting on their balance sheet. Just keep your stakes small. Keep your penny stocks investment ultra-small, as they are one of the highest-risk asset classes. Here’s how you can invest in penny stocks via eToro. Bonds are loans issued to governments or large corporations. How does a bonds investment work? Bonds pay annual interest payments to their investors. At the end of the fixed term (for example 5 years), you’ll then receive your total investment back as one lump sum. Bond returns will depend on whether you are buying government or corporate bonds, and how risky the underlying institution is. On average, you can expect to make between 1-5% per year in interest payments. What are the best bond investments? 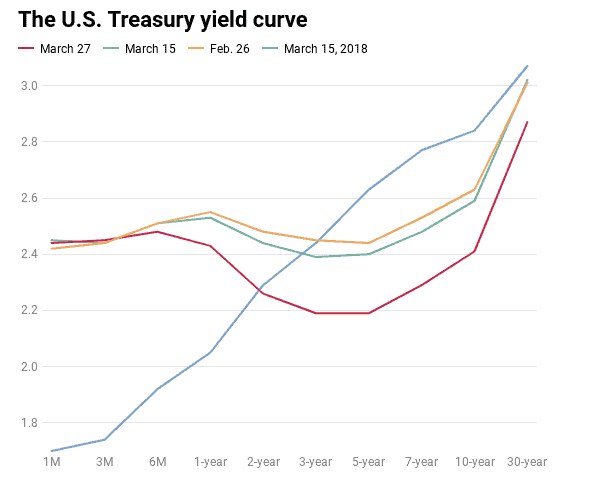 If you’re looking for a super low-risk bond investment, then stick with U.S. treasury bonds. Holding these bonds for 10 years will get you around 3% in annual interest payments. If you’re looking to invest in low-risk U.S. government bonds then you can allocate a large proportion of your funds to this asset class. The chances of the U.S. government defaulting are close to 0. Futures are financial instruments that allow you speculate on the future value of an asset, or a group of assets. They make our best investments for 2019 list because essentially, they allow you to invest in virtually any asset class. How does a futures investment work? Futures always have an expiry date, which is usually every three months. Once you’ve decided what asset you want to speculate on, you need to decide whether the price will increase or decrease at the end of the expiry date. You’ll make profit if your prediction was correct. Returns from futures are dependent on how well you predicted the future movement of the asset. For example, if the original price of the contract was $100 and you bought 10 contracts, if the contract expired at a price of $150, you’d make $500 (10 contracts x $50 growth). What are the best futures investments? You might want to consider buying futures in the NASDAQ 100, as growth levels in 2019 have been really promising so far. If the trend continues in the Q2 and Q3, it might be worth buying some futures contract. Alternatively, oil is also experiencing good gains in 2019, and it might still be undervalued at current prices. Investment amounts should depend on the underlying asset. As futures are best for short-term investments, you’ll be best limiting your stakes. 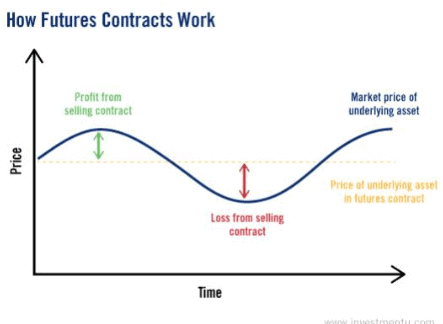 Futures contracts allow you to speculate on whether the asset will go up in value, or down. How do I invest in futures? Mutual funds come in a range of shapes and sizes, however the main concept is that you pay a fund manager to find the best investments on your behalf. In most cases this will be with a major financial institution, although stock brokers can also arrange this for you. How does a mutual funds investment work? You invest an amount into the mutual fund, and the fund will buy and sell stocks on your behalf. You’ll pay an annual fee for this. This will depend on the mutual fund that you decide to invest in, as well as risk-level you choose. You’ll likely make at least 5% per year, however this is often more than 10%. Don’t forget, you’ll have to pay fees too. What are the best mutual funds investments? Your best bet is to stick with funds that invest in large companies. Fidelity Advisor Growth Opportunities is a top performing fund that made 26% last year, with an expense ratio of 1.05%. Sparrow Growth is also a notable fund that made 21.4% last year. Established mutual funds are led by some of the best performing investors in the financial industry. As such, if going for a fund that invests in large stocks, then this could be one of your biggest investments for 2019 and beyond. Mutual funds often outperform the markets on an annual basis. How do I invest in mutual funds ? The foreign exchange markets, or simply ‘Forex’, is a multi-trillion dollar industry that involves trading currencies. Much like any asset class that can be traded on the open market place, currencies rise and fall in value on almost a second-by-second basis. How does a forex investment work? Rather than speculating on a single currency, you actually need to speculate on how a currency will perform against another currency. For example, if you felt that GBP was massively undervalued, then you would need to invest in a forex pairing, such as GBP/USD. As such, if you felt that one of the best investments for 2019 was that GBP would rise against the USD, then you would simply buy the pairing. Forex traders aim to make small profits on a frequent basis. Successful forex traders will aim to make between 1-10% per month. What are the best forex pairs to trade? Although there are more than a 100 forex pairs to trade, start off with major pairs such as GBP/USD. These will have the largest trading volumes, smallest spreads and are generally less volatile. This will depend on how much you want to risk. If you’re just starting out, it’s best to keep stakes low. If you use an established Forex platform such as eToro, you’ll need to deposit at least $200. 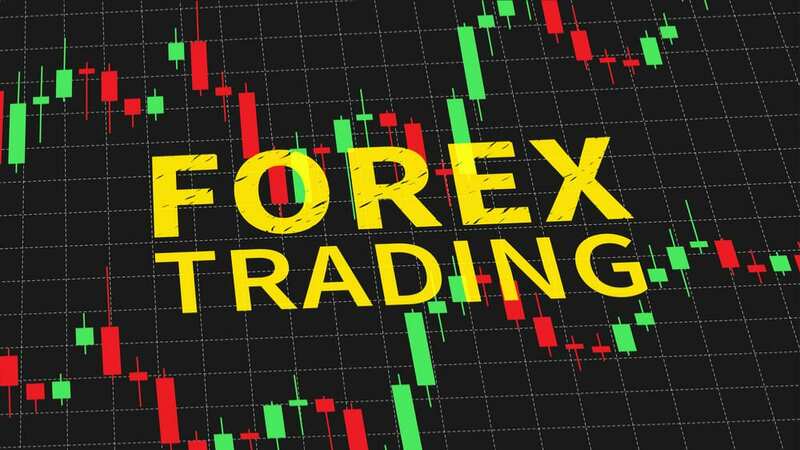 Here are some the most popular trading pairs in the Forex arena. Here’s how you can trade forex via eToro. What are small-to-medium company stocks? How does a small-to-medium company stocks investment work? This works in the same way as a blue-chips stock investment, as you’re buying shares that are listed on a stock exchange. As you are investing in smaller companies, returns are often higher than investing in larger blue-chip stocks. Returns can amount to between 5-15% per year if the company performs well. However, losses are also possible. The Russell 2000 index, which tracks 2,000 small-to-medium companies in the U.S., has grown by more than 600% in the past 10 years. What are the best small-to-medium company stocks to invest in? Shoe Carnival, Inc. is one of the largest family owned shoe companies in the U.S. 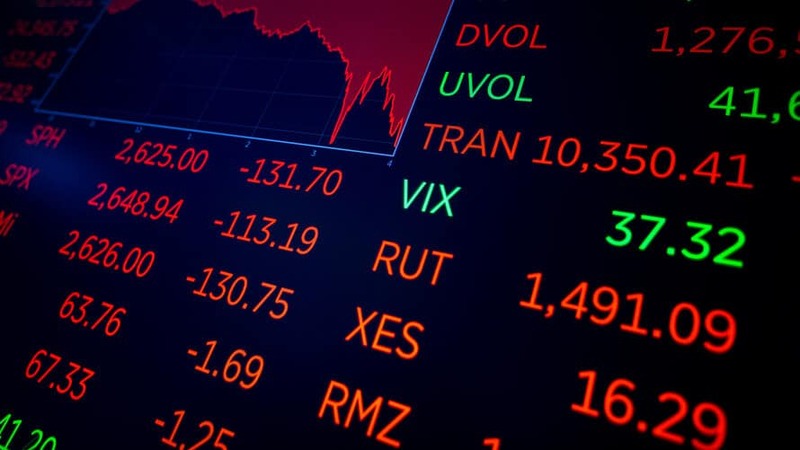 The stock outperformed a disappointing 2018 for the Russell 2000, subsequently making more than 32% in gains. The stock has had a slow start to 2019, so you might be able to buy the stock on the cheap. Alternatively, you can simply buy an ETF that tracks the 2,000 companies that make up the Russell index. You might want to invest slightly less in to small-to-medium stocks, in comparison to blue-chip stocks, This is because risk levels are slightly higher. Small-to-medium stocks on the Russell 2000 have performed really well since 2010. How do I invest in small-to-medium company stocks? Here’s how you can invest in small-to-medium company stocks via eToro. Dividend paying stocks are essentially publicly listed companies that have a strong preference for issuing dividends. How does a dividend paying stocks investment work? You invest in stocks in the usually manner, however you’ll receive regular dividend payments. This will usually occur every 3 months, or once a year. On top of making gains when the value of your shares increase, dividends can pay between 1-5% per year. What are the best dividend paying stocks to invest in? Your best bet is to back an established company that has a good track record of paying dividends. Johnson & Johnson’s usually pay around 2.4%, and Wells Fargo & Co pay a bit more at 3.6%. An even better choice for 2019 might be Exxon Moil Corporation, who recently paid a dividend yield of 4.16%. If you’re looking to back a low-risk company that pays regular dividends, then there are no limits to the amount you choose to invest. When you receive your dividends, you should also consider re-investing them back into additional stocks. ExxonMobil is a great addition if you’re looking for high paying dividends. How do I invest in dividend paying stocks? How does a silver investment work? 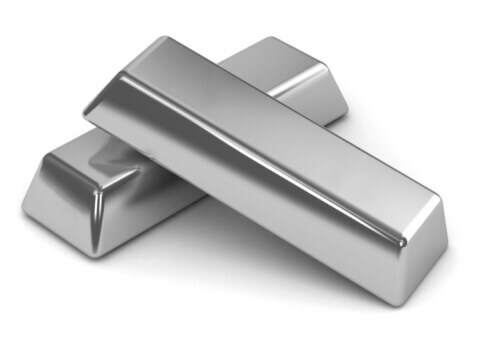 By investing in silver, you are speculating on the price going up or down in the open marketplace. There is no need to actually own the silver, as you can invest via CFD. The returns you make on silver will depend on how long you hold the asset for. 2018 saw a loss of 9.4%, while 2017 saw a gain of 7.12%. 2016 was a good year for silver at it increased in value by more than 15%. It’s best to limit your stakes when investing in silver as the asset is quite volatile. Silver is also a highly volatile commodity to trade. 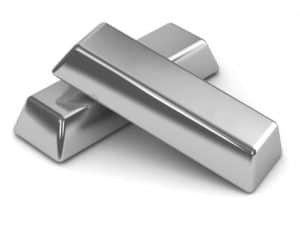 Here’s how you can invest in Silver via eToro. 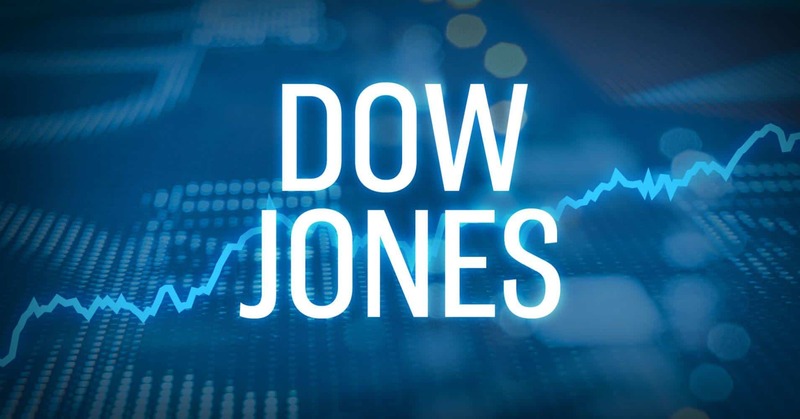 The Dow Jones Industrial Average, or simply the ‘Dow Jones’, is one the most notable indexes that tracks the U.S. equities space. In its most basic form, the Dow Jones is an index that tracks 30 of the largest U.S. stocks. The Dow Jones allows you to invest in the 30 largest U.S. companies, via a single investment. When the U.S. stock market performs well, as will the Dow Jones. The Dow is up 9.85% so far this year. In 2016 and 2017 it made gains of 13.4% and 25.08% respectively. Last year the Dow lost about 5%, which was unusual. If you’re prepared to hold on to your Dow Jones investment long term, it is well considering making it one of the main investments. 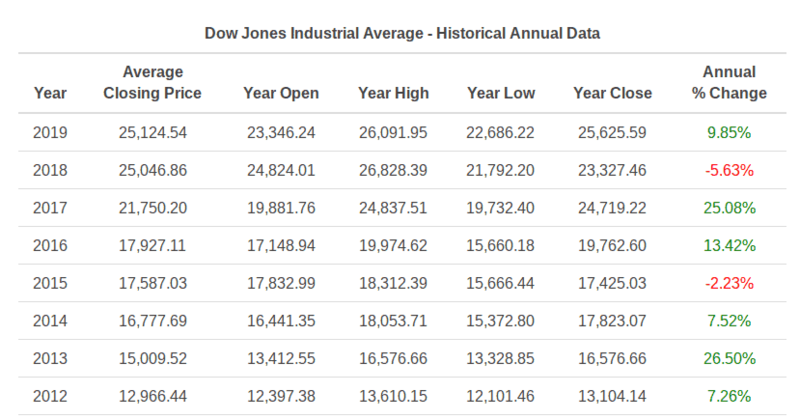 Performance of the Dow Jones Industrial Average since 2012. 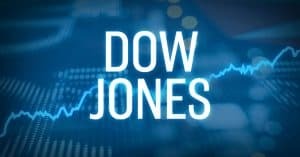 How do I invest in the Dow Jones? Here’s how you can invest in the Dow Jones via eToro. Getting your investment strategies right is fundamental if you are to make money in both the short and long-term. In order to point you in the right direction, we’ve listed 5 useful tips to get you thinking in the right mindset. Before you even think about parting with your own money, it is crucial that you perform significant amounts of independent research. This needs to cover the asset itself, the industry that it operates in, and the overall health of the markets.Ultimately, this is one of the most important investment strategies that you can take if you want to ensure that your wealth is protected in the long-run. Successful traders have a full understand of pricing charts. These are charts that detail the historical pricing movements of a particular asset. It is absolutely fundamental that you take some time to read pricing charts, as it could be the difference between entering the market at the right time, or the wrong time. Most importantly, you want to ensure that you are not purchasing an asset when it is close to peaking. Although this is often overlooked, when selecting the best investments for your portfolio you need to set some underlying targets. This is to ensure that you do not miss your opportunity to exit the market. If you are keen to hold on to your best investments long-term, this is fine, but you should have a rough idea as to what you are looking to achieve. Markets can change very quickly in the investment space, so always have a plan. Diversifying your best investments means that you avoid putting all of your eggs in to one basket. Not only does this mean multiple assets, but you ideally want to cover multiple industries across multiple markets. This way, should one of your investments perform poorly, your exposure won’t be felt nearly as much. If you do have an appetite for higher-risk assets in your list of best investments, then it crucial that you balance this out with lower-risk assets. Most successful traders will utilize a weighting system. For example, traders might opt for 70% in low-risk assets, 20% in medium-risk assets and 10% in high-risk assets. This is a similar approach to diversifying your best investments, as the overarching aim is to mitigate your risk. If you’ve chosen the best investments for your individual needs and you’re ready to start trading, then you’ll need to find a suitable investment platform. Here’s 5 that are worth considering. eToro have one of the largest portfolio of investment products in the online trading space. The vast majority of their financial instruments are in the form of CFDs, meaning you’ll have access to a full range of asset classes such as forex, commodities, stocks and cryptocurrencies. If you’d like to read our full eToro guide before taking the plunge, check it out here. 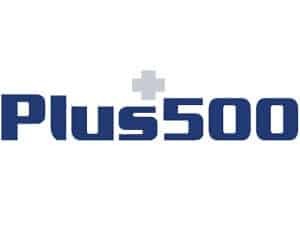 Much like in the case of eToro, Plus500 are a hugely popular CFD broker. 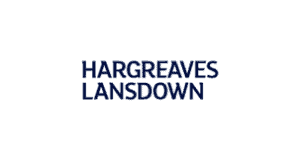 The company are listed on the London Stock Exchange and they are fully regulated by the FCA. You’ll be able to access a full selection of the best investments we have listed in our guide, including forex, shares, stock indices and ETFs. Launched in 2005, Ally Invest have risen to fame in recent years. The mobile-based investment platform is backed by U.S. bank Ally Financial, so it has some serious clout behind it. You’ll be able to trade stocks, mutual funds, ETFs and more at Ally, all at really competitive prices. ✅ Great fees – charged as a low, fixed fee. Hargreaves Lansdown are a UK-based award winning broker that specializes in a plethora of investment products. This covers shares, ETFs, ISAs, CFDs and a full selection of commodities. Their investment research and analysis coverage is industry leading, and they’ll fully regulated by the UK’s FCA. Markets.com is a platform that is fully catered for first-time investors. On top of having a really slick layout, the platform is jam-packed with educational tools and useful guides. With no commission fees, Markets.com offer great value. If property is at the very top of your best investments list for 2019, then it might be worth considering an ETF. Real estate ETFs are available across multiple housing markets, however one of the most established is the iShares UK Property UCITS (IUKP), which tracks the UK market. In order to get a good indication of the UK property space, the ETF incorporates a range of constituents. This includes Land Securities, Segro, British Land and Hammerson. Fees will cost in the region of 0.4%. If you are looking for the best investments in the stocks and shares space, but you can’t quite decide which companies to back, then it’s probably best to invest in an index. One such example of this is the NASDAQ 100 index fund. The fund tracks the 100 largest companies listed on the NASDAQ stock exchange, meaning you’ll get sensible exposure to the wider marketplace. Fully in-line with the age of digitization, it is now possible to access the very best investments via a mobile app. One of the most popular mobile investment platforms available is that of Ally Invest. If you’ve read our Best Investments guide from start to finish, then you should now have a full understanding of the different types of investment products to consider in 2019 and beyond. Each of the 15 investments that we discussed offer their own underlying risk-levels. As such, it is potentially a good idea to invest in multiple asset classes, with the view of mitigating your risk. Whether its real estate, cryptocurrencies, stocks, ETFs, futures or mutual funds, there’s an investment product out there for everyone. If you’re now ready to begin your best investments journey for 2019, then we are going to show you how you can get started in the quickest time possible. For the purpose of this brief tutorial, we’ll assume that you are still at the very start of your investment career. One of the most user-friendly investment platforms for newbies is that of eToro, who offer more than 1,000 CFD products across a range of different asset classes. As such, we’ll show you how to get started with eToro. 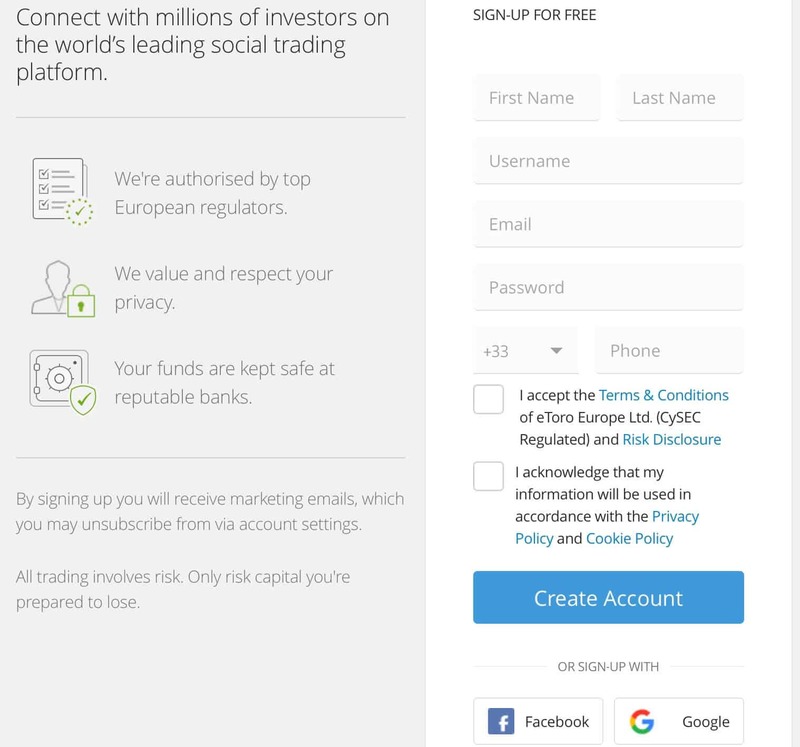 Step 1: Open an account with eToro. Head over to the eToro platform. You can go straight to eToro by clicking ourhere. You’ll need to go through a basic KYC process, which will require you to provide the broker with some personal information, and a copy of your government issued ID. Once you have opened your eToro account, you’ll then need to make a deposit. 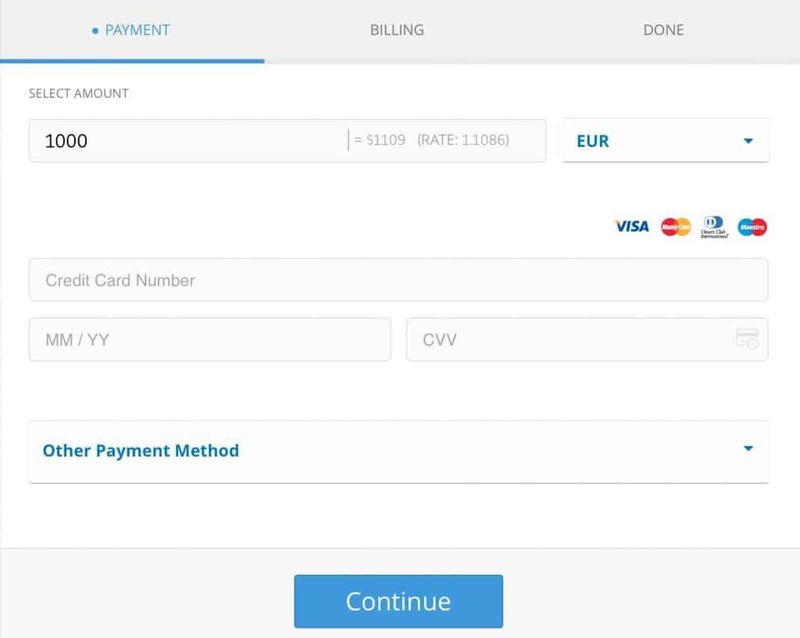 The platform supports a range of payment methods including debit/credit cards, bank wire and even PayPal. Take note, you’ll need to deposit at least $200. Step 3: Choose your desired asset class. Now that you’ve funded your account, you can now make an investment! At the top of the screen, you’ll see each of the asset classes on offer. This covers, crypto, ETFs, stocks, indices, commodities and commodities.For the benefit of this guide, we’ll go for crypto. Step 4: Choose the specific asset that you want to invest in. You’ll now see each of the 14 cryptocurrencies listed that you are able to invest in. Click on the one that you want to speculate on. We’ll be going for Bitcoin. You’re now at the final stage of the guide and about to place your first ever trade. Once the trading box pops up, the first thing that you need to do is decide whether you want to ‘buy’ or ‘sell’ the asset. If you’re wondering how you can sell the asset even though you don’t actually own it, this is because you are going ‘short’. In other words, if you go short (sell), it means that you believe the price of the asset will go down in value.If it does, you’ll make a profit. In this example, we’re going to ‘buy’ Bitcoin. Before you can execute your trade, you will need to determine how much you want to risk.This is much easier that having to stipulate how many units you want to buy. As such, eToro will automatically convert this for you.Once you’re happy with the amounts entered, simply confirm the trade. What is the easiest way to start investing? If you are at the very start of your investment journey, then it’s probably best to use a CFD broker. You’ll still have access to more than a thousand assets, and fees are much lower than traditional stock brokers. This means that you’ll be able to start investing with smaller amounts. What are the best investments of 2019? If you’re looking for the best investments in 2019, then your best bet is to diversify across a range of different assets. This will mitigate your risk and ensure that you are not too exposed to a single marketplace. Think about combining stocks with ETFs, index funds and commodities. While every asset class will always attract an element of risk, some are considered to be at the very bottom of the risk vs reward model. Such examples are bonds, real estate and debt mutual funds. Should I invest in higher-risk assets? There is nothing wrong with higher-risk assets, as long as you keep your investment to an absolute minimum. Moreover, you need to have a firm understanding of the underlying risks before you part with your money. Some investors will allocate a small amount of their portfolio to higher-risk assets, however just make sure you combine this with other assets that are less risky. Am I Best suited for short or long term investments? There is no one-size-fits-all with investment strategies. Short term investments will generally require more of your time, as you’ll need to be fairly active to accumulate frequent profits. This also depends on the asset you intend on investing in. For example, if you’ll looking to invest in bonds or real estate, these are generally best suited for long-term investing. Is investing in CFDs safe? As long as you are using a regulated broker that is fully authorized to sell CFDs, they are completely safe. As with all brokers, you should still conduct your own research to ensure that they are the right platform for you. What's the cheapest way to invest in shares? If you are looking to invest in shares with the sole view of speculating on the asset’s share price, then you might be best utilizing a CFD if costs are your main priority. The only downfall to investing in CFDs as opposed to conventional equities is that you won’t be accustomed to company dividends. 1 What makes a good investment? 9.1 Step 1: Open an account with eToro. 9.2 2. Fund your account. 9.3 Step 3: Choose your desired asset class. 9.4 Step 4: Choose the specific asset that you want to invest in. If I were to choose one asset class to invest in, which one should it be?